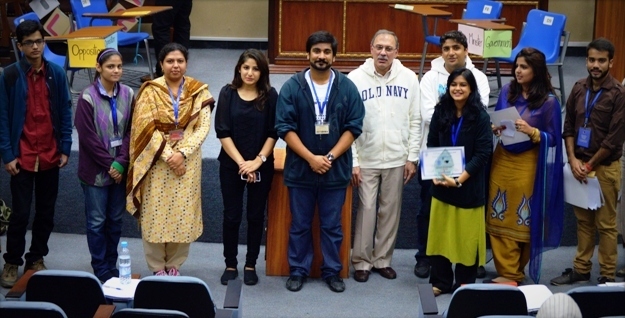 The Formanites’ Education Society held a parliamentary debating competition on Monday 17 November 2014. The competition consisted of three rounds and eight teams in total. Each team consisted of two members. Topics for round one were provided to the participants before the day of the competition, whereas topics for the semifinals and finals were provided only after the teams successfully completed the former round. For round one four groups were formed. Each group consisted of two teams, one of which was the government and other the opposition. On completing round one, only one team qualified for the semifinals out of each group and the topics were provided giving each team thirty minutes to prepare as the other team made its case. By the end of the semifinal round two teams were left out of four teams and they competed in the final round. Dr CJ Dubash, Vice Rector Intermediate, was the chief guest for this competition and provided the topic for the final round. Participants were given ten minutes to prepare their cases and present in front of the adjudicators. In the final round Naba and Khadeeja secured first place for themselves in the competition. 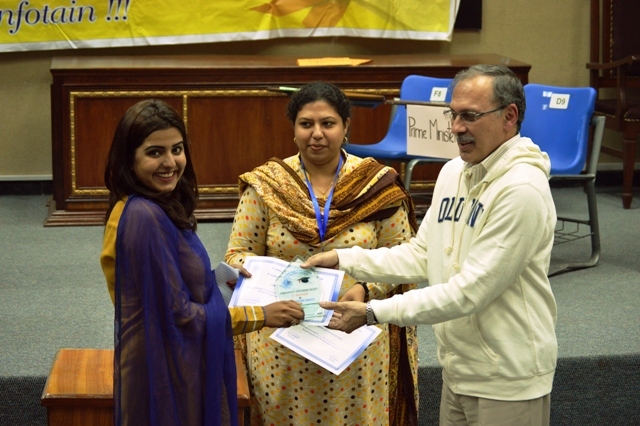 Certificates were provided to all the participants by Dr Dubash while shields were presented to members of the winning team.